Since Russia seized Crimea and began using proxies to destabilize the Ukrainian government in 2014 and menace its neighbors with actions short of war, the senior American officer in Europe told the House Armed Services Committee. “We’ve returned to our historic role as a warfighting command,” Army Gen. Curtis Scaparotti told the panel on Tuesday. 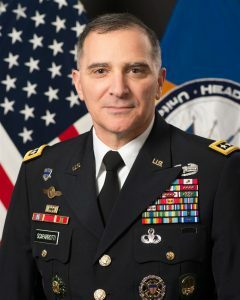 He testified European Command has made a “shift to deterrence and defense” in response to Russian aggression and the increased threat from terrorist groups operating on the continent. The Kremlin is modernizing its hybrid, convention and nuclear forces to re-establish itself as a great power. 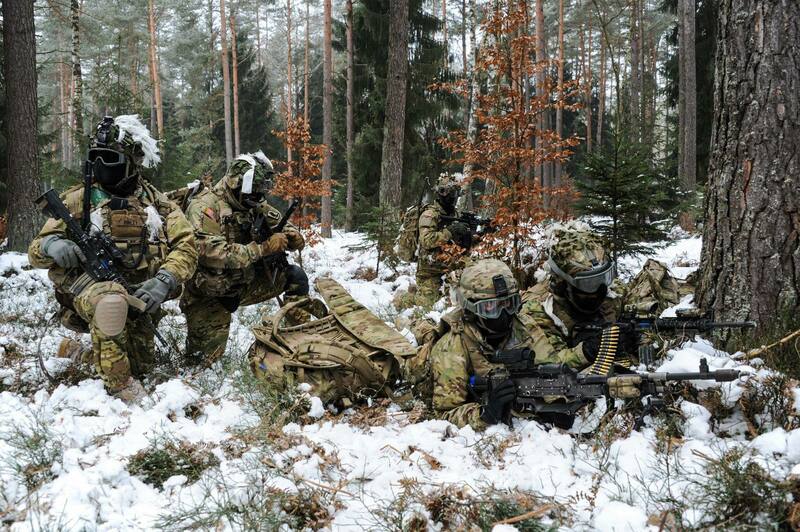 To do this, Scaparotti said Moscow is using a whole of government approach to intimidate its neighbors in the Baltics and along its western borders. Using hybrid warfare as an example, he said it includes cyber intrusions to disrupt public utilities and “is criminal in some cases,” disinformation campaigns using media outlets such as the RT, a cable network, and “it includes political provocations” trying to influence elections in Western Europe as it is attempting now in France and Germany. Later in answer to another question, Scaparotti said, “We’re not as effective as we could be” in the information domain. He suggested the United States use a Cold War model to counter Russia with the State Department in the lead and operating under an overriding architecture as to what the nation’s objectives were. “We have to compete in that environment … and support our values,” he added in answer to a later question. In modernizing its conventional forces, Moscow is learning important lessons on capabilities under combat conditions. While Ukrainian “forces are getting better” in holding Moscow-backed separatists in check in the eastern part of the country, “it’s a Russian proving ground.” He said the Russians “are providing their newest equipment [like advanced unmanned aerial vehicles] to test it” there. He also said more armored ground forces including permanently stationing another Brigade Combat Team in Europe; improved antisubmarine warfare and strike capacity, along with modernized prepositioned war stocks; and enhanced missile defense systems would bolster deterrence and defense. “We don’t seek conflict with them,” he said in answer to a question. The guided-missile destroyer USS Donald Cook (DDG 75) departs Souda Bay, Greece, on Feb. 8, 2017. 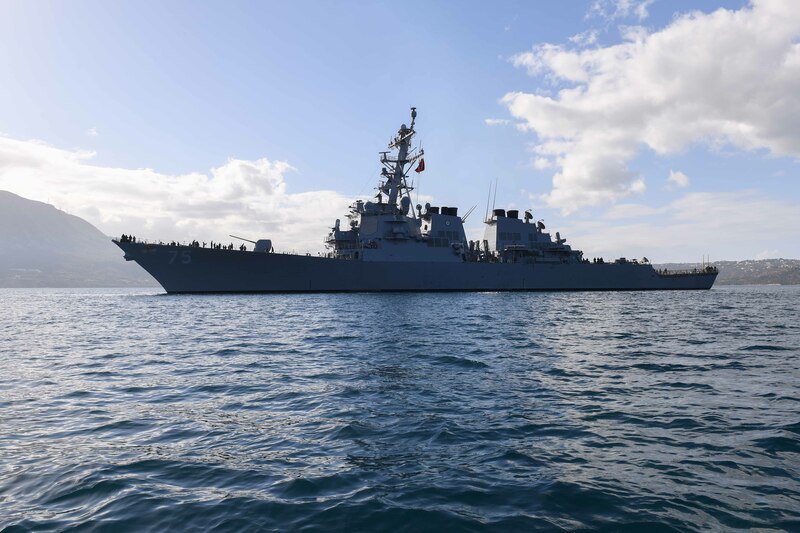 The BMD destroyer is forward-deployed to Rota, Spain, and is underway is conducting naval operations in the U.S. 6th Fleet area of operations in support of U.S. national security interests in Europe and Africa. US Navy photo. On anti-submarine warfare, “we’re still dominant in that domain.” He also wanted “additional capacity on a rotational basis,” specifically mentioning carrier strike groups and amphibious readiness groups. Scaparotti said the European Reassurance Initiative has been very helpful in meeting the new challenges from Russia. But as it exists now, the $3.4 billion to improve rail lines, bridges, highways, ports, bases and airfields; pay for training and exercises with allies and partners and send rotational forces to Europe comes out of an emergency spending fund. That kind of spending only covers one year. On the improved infrastructure going into place, “we need to train that, we need to exercise that” to see how quickly forces in Europe can move from spot to spot and how arriving forces can be transported from the United States to where they are needed. He said the rotational forces coming to Europe are ready and when they return to home station they remain ready. Scaparotti said 22 of NATO’s 28-member alliance have increased their defense spending to reach a 2 percent threshold in the future and they are directing 20 percent of that money to modernization and training . He said it shows their commitment to come to the defense of any member that is attacked. “Russia does respect NATO,” he said.